and the guys from Cheap O Rooter finished the job fast, clean and professionally." Looking for a plumber in Riverton who can provide you with the highest-quality plumbing services without trying to charge you a fortune? If so, you have come to the right place. Cheap-O-Rooter has made a name for itself in the Salt Lake City area with our affordable full-service plumbing services, which include sewer and drain cleaning, repairing and maintaining faucets, water softeners, tubs, showers, garbage disposals, and other important parts of your plumbing system. We also provide complete sewer and drain cleaning, which will clear more debris from your pipes than what you can find by using grocery store drain cleaners. Whether you are calling us for regular maintenance, to fix an inconvenient problem, or if you need emergency service, Cheap-O-Rooter will send a clean, respectful, and experienced plumber to your home to take care on any problem. Our plumbers understand that every home is constructed differently and can find solutions for your unique system. With our combination of professional services and commitment to customer satisfaction, we have been able to help numerous families and individuals in from Riverton to Sugar House, and all along the Wasatch Front. Call Cheap-O-Rooter to ensure that your plumbing repairs and drain cleaning are done the right way. With 32 years of Utah plumbing experience, Cheap-O-Rooter Drain is your choice for a Utah plumbing company. 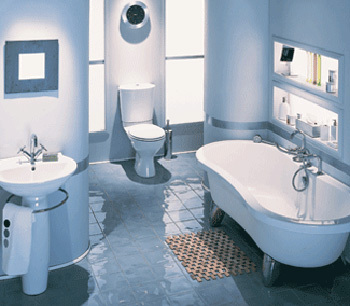 Our plumber technicians are professionally trained, licensed, drug tested, background checked, clean cut and courteous. We care about your home and property and treat it accordingly. Always prompt and reliable, Cheap-O-Rooter Drain provides you with safe and high quality plumbing in Salt Lake City, UT. Cheap-O-Rooter Drain Salt Lake City has the professionals that are your drain cleaning Salt Lake City and rooter Utah experts. Having problems with your Wasatch Front sewer? We are Utah sewer repair experts.